A clipper system will push through WNC on Sunday, bringing with it cold temperatures, gusty winds, and even some snow showers for many in Western North Carolina. Short range models are just beginning to resolve this solution, but as we progress towards Sunday, I expect to have a better idea of how much if any snow will accumulate. Surface temperatures may rise close to 40 on Sunday around Asheville, but upper level temperatures will be very cold, so that increases the likelihood that flakes will not melt as they approach the valley surface. Most models show very limited if any accumulation with this event, but sometimes with these smaller events here in WNC, the models struggle to resolve the solution until 24-36 hours out. So what you should take away from this, is that windy conditions are likely today as temperatures fall throughout the day. Snow showers can’t be ruled in the higher elevations through Friday. Then a clipper system will move through the area beginning Sunday. 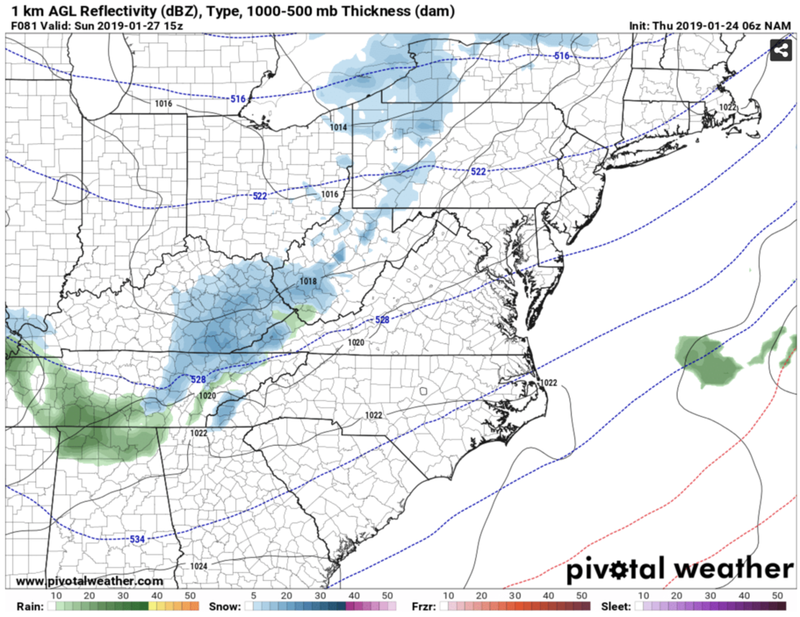 Join me live in the AshevilleWX App at tonight at 8pm for a discussion of what the most recent models show, and my thoughts on how the event will progress! Looking for trusted local tax professionals who treat you like family? C.P. Kruse & Co. is your answer! Call them today (828)684-7374 or visit their website http://www.kruseaccounting.com to set up your appointment today!